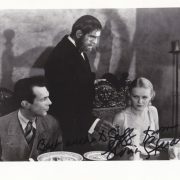 View cart “Harryhausen , Ray : signed 8″ x 10″ portrait JASON AND THE ARGONAUTS (0992)” has been added to your cart. 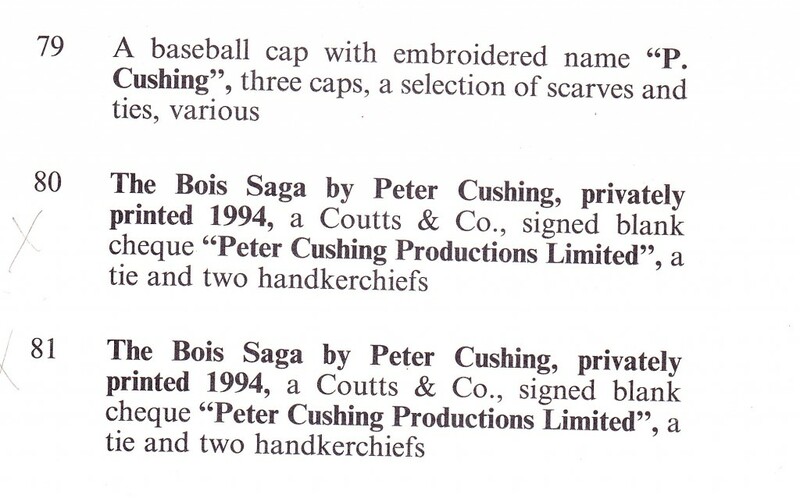 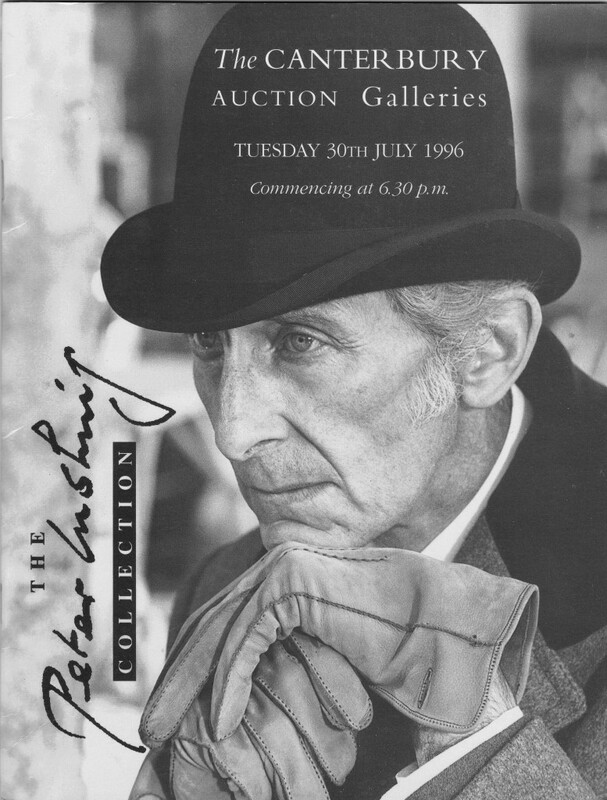 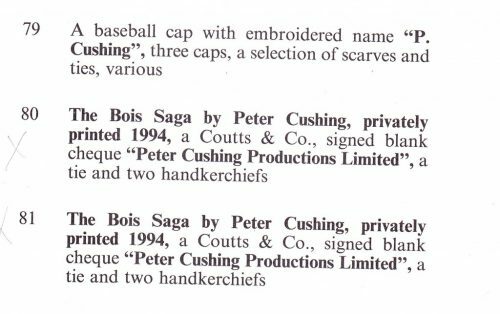 PETER CUSHING (1913-1994) signed 4″ x 7½” bank cheque in blue fountain pen ink. 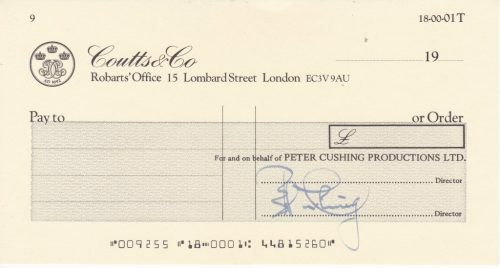 This is a signed cheque, drawn on Coutts & Co for Peter Cushing Productions Ltd. 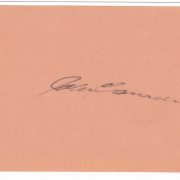 This checque was acquired at the Canterbury Auctions on July 30, 1996 (lot 81). 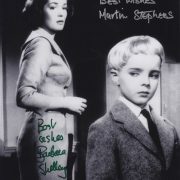 The cheque also required a second signature of a fellow director.